Vince and his lovely wife, Sarah, are the owners of HotSpring Spas & Pool Tables 2, a local business that has been elevating morning routines and spreading wellness in North Dakota for more than 21 years. Vince Wuebker’s Sunday morning routine consists of waking up early and relaxing in his sauna with the morning paper. This ritual is something he can partake in all year long, no matter what the weather. Vince and his lovely wife, Sarah, are the owners of HotSpring Spas & Pool Tables 2, a local business that has been elevating morning routines and spreading wellness in North Dakota for more than 21 years. The Wuebkers relocated to Fargo in 1997 when the previous owners of what is now known as HotSpring Spas & Pool Tables 2, a family-owned business for over 40 years, decided to retire. “My parents had a store in Watertown, SD. Once you are in this industry, you’re in a tight-knit group,” Vince Wuebker shared how he found out about the opportunity in Fargo. 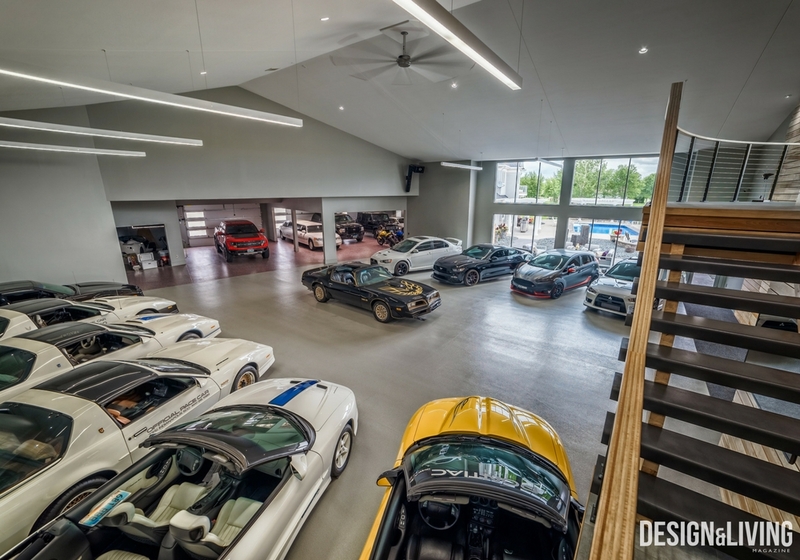 He has since expanded the local business to serve all of North Dakota with showrooms in Bismarck, Grand Forks, Minot, Devils Lake and West Fargo. “Vince started out with just one location here in Fargo and has grown that to where we are today,” said Carrie Kantola, Marketing Manager at HotSpring Spas & Pool Tables 2. The company is known for their products, delivery, installation, maintenance and repairs. Today, the Wuebkers live in South Fargo with their two teenagers and golden doodle, Paxton, while their oldest daughter is away at college. The Wuebkers have been living in this house for the past four years. Since then, they’ve transformed the lower level into a game room, complete with a shuffle board table, Olhausen billiards table (HotSprings also carries Brunswick brand billiards tables), foosball table, table hockey and bar-height table from HotSpring Spas & Pool Tables 2. With this setup, it’s not uncommon for neighbors to gather in the Wuebkers’ game room to watch Sunday football. You may notice a common theme in this game room, and that is because Vince Wuebker is licensed through the NCAA to personalize products with collegiate team logos, including Fighting Hawks and Bison. He has even provided products for Carson Wentz’s Philadelphia home. While their lower level is for meant watching and playing games, the backyard is where the Wuebkers go to relax. “When we moved in four years ago, it was Vince’s vision to have a pool in the backyard because there wasn’t anything back here. With our business, our backyard needs to be our oasis,” Sarah Wuebker said. Instead of heading out to the lakes during the summers, the Wuebkers go to their backyard, which has a pool, Finnleo sauna, Hot Spring Spas hot tub, a Tropitone fire table and outdoor furniture from HotSpring Spas & Pool Tables 2. During the winter, the pool is hidden underneath an automated cover, but the sauna and hot tub are used year-round. “True relaxation is hot water or a sauna that brings your autonomic nervous system down to its ideal state,” Vince Wuebker said. Studies have shown that saunas don’t just feel good; they really are good for you. Their many health benefits include improved cardiovascular performance, muscle and joint relief, reduced chance of Alzheimer’s disease, stress relief, deeper sleep and a strengthened immune system, just to name a few. Hot tubs also share a number of these benefits. Vince and Sarah Wuebker roast marshmallows over a Tropitone fire table on their backyard patio with their three-year-old golden doodle, Paxton. Wellness is about more than your physical health though. “Wellness is community. It’s family. It’s togetherness. These types of products bring everybody together without cellphones or without the TV,” Vince Wuebker explained. Certainly, the sauna and hot tub have become important parts of the Wuebkers’ daily routines. Nearly every morning, Vince and Sarah Wuebker use the sauna before getting ready for work. Then, in the evenings, the whole family enjoys the hot tub together. For Vince and Sarah Wuebker, a day without a sauna is not a good day. It’s like not making your bed or not having breakfast. For the Wuebker family, the hot tub is the new dinner table where conversations happen. “They [Vince and Sarah Wuebker] are a testament to what we would like our customers to achieve wellness-wise,” Kantola said.